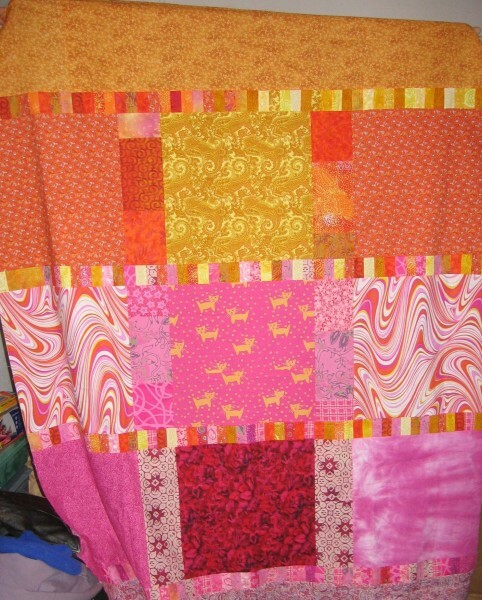 I said I would come back and talk about the backs of my quilts, so I might as well do that! Bear in mind that I haven't made a quilt in several years now so things may have changed, some, and/or I may have forgotten a thing or two. But I think the basic idea of it's still valid. 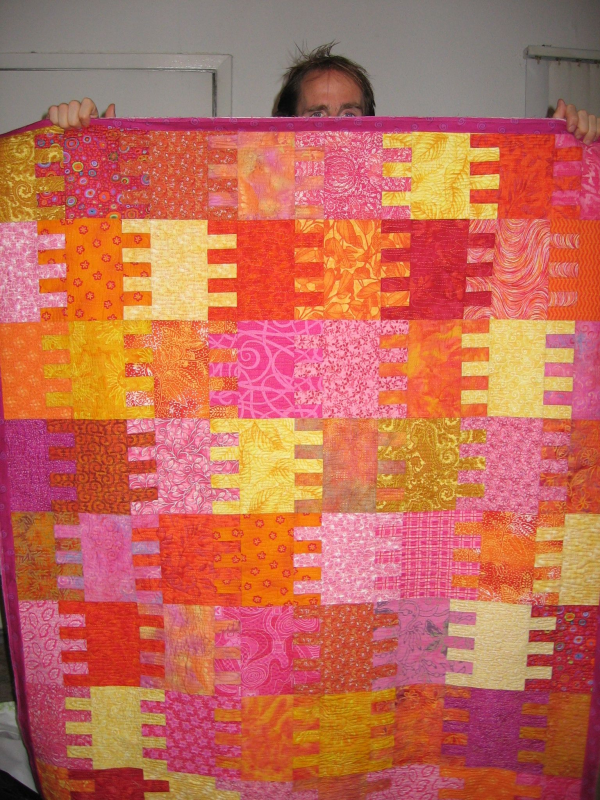 This first one is a more simple example of how I used to do the backs of my quilts. 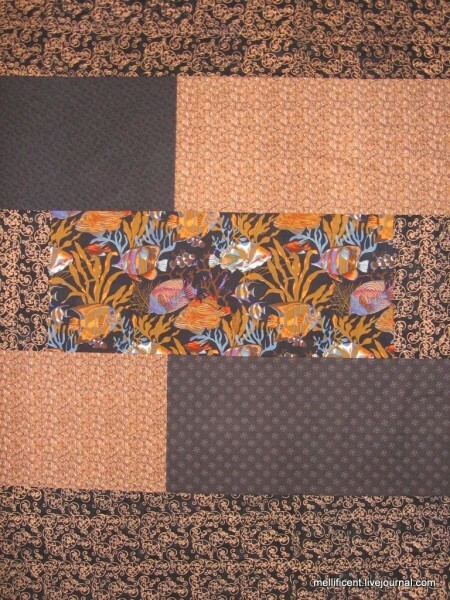 Even if you're doing the same fabric all over, you're going to have to put at least one seam in the back for most quilts, unless you buy special extra-wide quilt backing fabric. (That does exist but it's a bit pricey and the selection is relatively limited.) I just figure, given that, why not run a few seams and use up some scraps? Added: it occurs to me that people might want to see the front of the thing in a larger size than icon size, so here's that (with Rob's head peeking out at the top). Note that the binding is not whipped down here, but other than that, it's done. I've actually found a few more pictures of the back of things so I might have another entry about this eventually.